Let’s talk about choices! We make them every day! My friend, Phil Cooke reminded me that people who achieve great things are people who make choices. You have seen the stories of people who started with bad stuff and ended up doing great things. It was all about their choices. Far too many people today let life dictate their future instead of the other way around. Choices are hard – that’s why so few actually make them. But as the saying goes – not to make a choice is to make a choice. The question is – what choices will you make today? The world doesn’t care about your problems, or what’s holding you back. They don’t care about your past failures, or any other obstacles you face. Stop making excuses and start making choices. 1. Start with the pros and cons of every choice. List them out. 2. Get some advice, talk with someone you trust. 3. Make the call. If it proves a bad call, then admit it and change it. What’s the single most important choice you can make today that will help take your organization to the next level? Dr. Ron Cline helps build the body of Christ around the world. His background as a pastor, educator, counselor, missionary and author gives him credibility and rapport with the many groups and individuals he and his wife, Barbara, minister to in various countries each year. 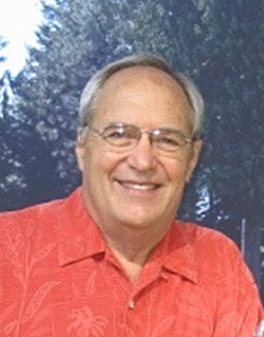 After 7 years of pastoral ministry in Southern California, and ten years as the Dean at Azusa Pacific University, the Clines’ international service began in 1976 as a short-term opportunity when he agreed to pastor the English Fellowship Church in Quito, Ecuador for two years. Those two years stretched into six years. Following that he served as the president of HCJB World Radio, also in Ecuador, for 20 years. HCJB Global, now Reach Beyond, has media, health care, community and/or leadership development ministries in Latin America, Europe, Russia, North Africa/Middle East, Sub-Saharan Africa, and Asia Pacific. Ron and Barb currently serve as Global Ambassadors with Reach Beyond and live in Southern California after living 30 years abroad. They travel from Southern California throughout the world. For the last ten years they have been encouraging, coaching and working with leaders in Indonesia, Cambodia, China, Singapore, Malaysia, Nepal, Mongolia, India, Philippines, Thailand, Hong Kong, Solomon Islands, Western Samoa, Papua New Guinea, Tonga, Fiji, America Samoa, Australia, New Zealand, Central Asia, USA, Canada, Mexico, Cuba, Haiti, Ecuador, Russia, Malawi, Ivory Coast and South Africa.